Strange day for Jews, no matter how remotely connected to their judaic roots…. if you don’t want to break the chain, do pay a visit to a synagogue, possibly fast and if you’re really into it, don’t drive, write trivial matters nor turn on the light! 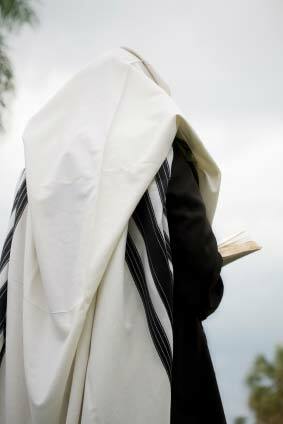 It’s amazing the number of unpracticing Jjews such as myself who actually observe Yom Kippur. More than an sense of guilt for all our sins, it’s a feeling of belonging to a very old community and of relating to our forefathers…. The very marking moments for me are Kol Nidre and Neila of course. I recently listened to a radio interview of Elie Wiesel and discovered that he doesn’t do any differently…. In-between I sleep a lot, I fast…and at 4 p.m. my great pleasure, before going to shul (synagogue in Yiddish, litterally meaning school), I’ll prepare the tables with sweet goodies with which we break the fast (in order to have a sweet year). After 25 hours of fasting, we can’t eat too much and do it gradually. I am aware that it is actually a very bad practice not to drink for 25 hours…but strangely enough, neither do I feel hungry nor thirsty on that day…as if my mind just knew. Voilà…life reverts to normality, next festival I also celebrate will be lighting candles on Hanouka and will not eat bread on Passover…but this is another story. Judaism has a lot of rather theatrical festivals, I am sure this is what contributes to our observing some festivals despite being rather distant from the orthodox jewish practice! Wishing you all a happy new jewish year 5771 ! Funnily enough, one of my friends in Fidji told me that they celebrate all religions present on the island and…indeed, don’t work much!